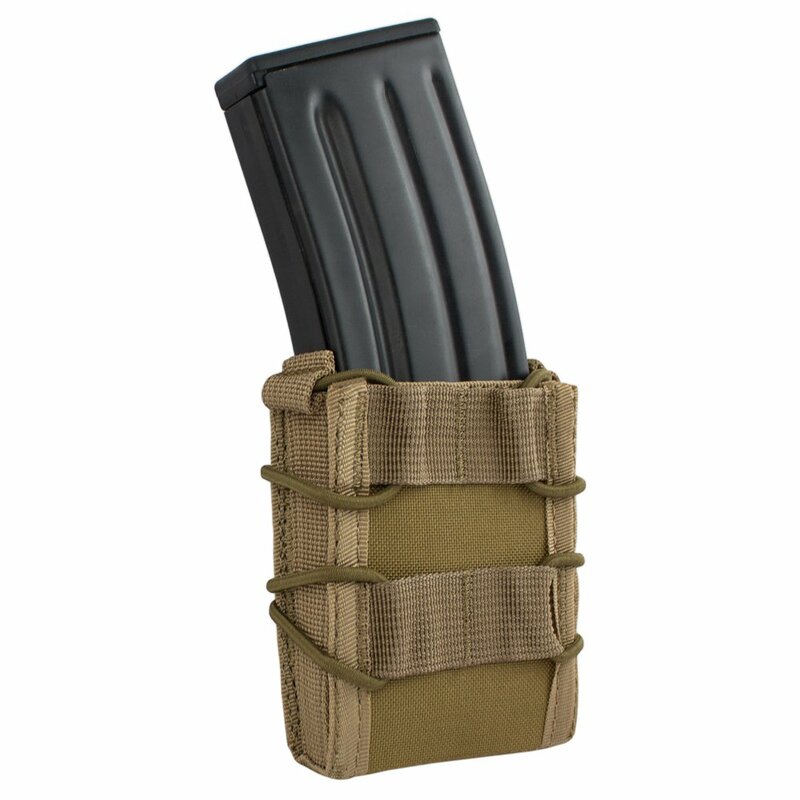 The Shadow Strategic Gear This quick release magazine holder is designed for CQB environments where speed of reload is essential. 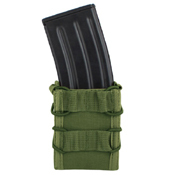 The elasticated bungee cord wraps around the magazine offering enough retention to hold the mag securely in place. You can even adjust the amount of retention to meet your needs with the use of the pull cord. 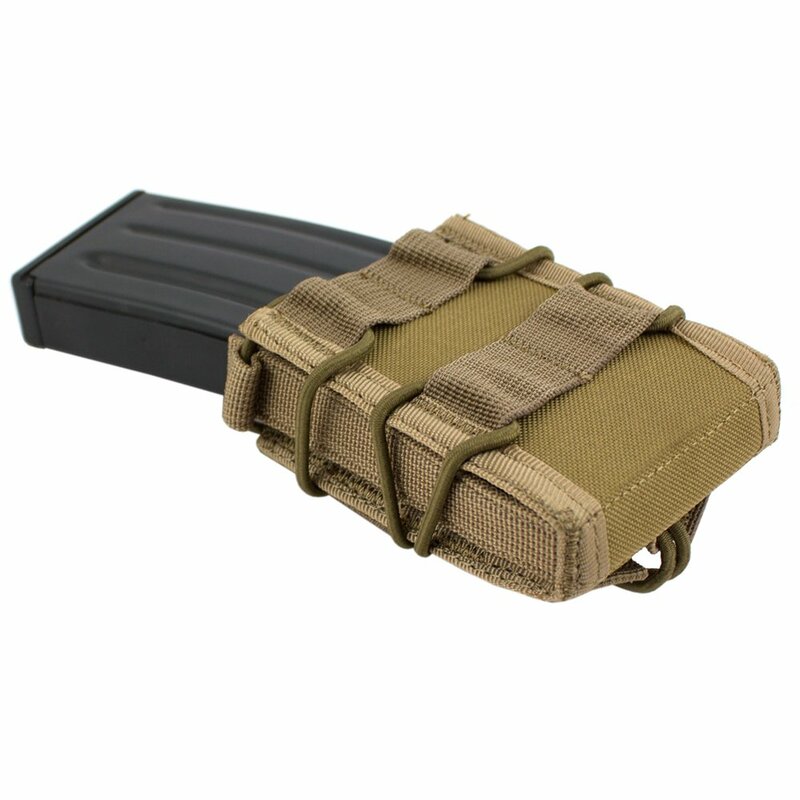 Holds 1 x 9mm / pistol magazine.